An employment contract is a legal agreement between an employer and employee in which the terms and conditions of employment are spelled out. Though there is a body of statute law which governs specific aspects of the employer/employee relationship, such laws only form part of the basis upon which the employment relationship is based. Other areas of the employment relationship are based on the written terms and conditions given by employers to their employees, which function to work in conjunction with existing statute law to specify and define an employee’s rights and obligations. 1. A formal legal contract which is signed by both parties. The terms are often negotiable and can be tailored to include terms very specific to the individual position and the employee concerned. 2. A “letter agreement” which may be detailed, or which simply sets out the minimum information required under the Terms of Employment Act of 1994. This letter is normally signed by the employee as an acceptance of the position offered. This letter might not contain sufficient detail to inform the employee fully of their terms and conditions and may not be adequate to protect the employer. 3. A handbook may be presented which will comprise of the terms and conditions of employment. The employee is normally asked to sign an acknowledgment of receipt and acceptance of the terms and conditions of employment contained in the handbook. The negative consequence of the handbook is that it applies for all employees and specific terms are not negotiable as they would be in a formal contract in the form of a traditional legal document. Benefits, such as bonus scheme, health insurance, 401(k), retirement, use of company car, payment of tuition fees, etc. Minimum notice to end the employment relationship must be given by both employer and employee. Employees can ask for written terms and conditions at any time and the employer must provide same within two months. If a person has been in employment since before the Terms of Employment Act of 1994 and has never been issued written terms and conditions or a contract of any type, the employee is still entitled to receive a written copy of these terms. If, however, an employee has been in employment without a contract, an employer cannot force an employee to sign a contract of employment and employment will continue under the “custom and practice” created between the employer and employee. The employment contract is equally as important to the employer as the employee. Employers can use contracts to their advantage, especially in times when jobs are scarce. Employment contracts often set out such things as probationary periods, sick pay scheme, additional leave which might be taken, pension scheme and any further benefits to be provided by the employer. The great advantage to the employer is there, in some cases, are many items which can be included to protect the employer such as a restrictive covenant restricting a former employee from taking employment within a specified geographical area, a clause which would prohibit a former employee from doing business with the employer’s clients for a specified period of time or a confidentiality clause wherein the employee must keep all trade secrets of the employer confidential. Employers can set out the minimum notice an employee must give to terminate employment. Employment contracts should be well drafted and should include proper protection for both the employee and employer. 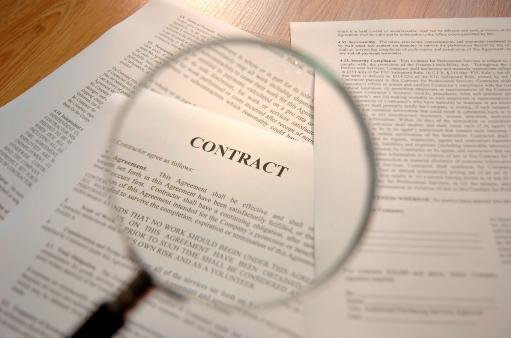 A well drafted contract may save a company thousands of dollars in legal fees.